Improve speed, pace, cadence, foot landing and compare your shoes — all with a sock! Over 65% of runners get injured each year. Learn how to run so you can avoid injury-prone running styles. An overuse injury like achilles tendonitis occurs in runners who increase intensity and duration of their runs. 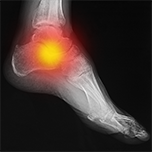 Serious cases can lead to tendon tears that may require surgical repair. Pain and inflammation of a thick band of tissue that runs across the bottom of your foot is a symptom of plantar fasciitis. One of the worst injuries; plantar fasciitis is fittingly referred amongst runners as "the vampire bite." Knee injuries account for roughly 20% of running injuries per year. 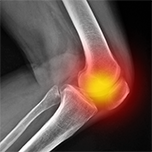 Patellofemoral pain syndrome, or runner's knee, is the most common of the knee injuries. 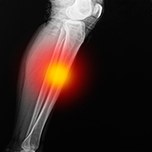 Pain running along the tibia bone (shin) is more commonly known as shin splints. Shin splints pain develops while running and usually resolves afterwards. Running on your heel is no different than getting hit by a sledgehammer a thousand times per mile. Sensoria smart socks help you improve your running form. Sensoria smart socks are infused with comfortable, textile pressure sensors. They inform you in real-time when you are striking with the heel or the ball of your foot. Monitor your foot-landing technique as you run. 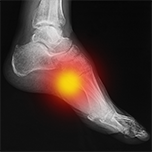 Visualize the foot heat-map on the Sensoria Fitness mobile app. CADENCE MONITORING is this ever displayed? Subtle increases in step rate can substantially reduce excessive pressure on hip and knee joints, beneficial to avoid running-related injuries. 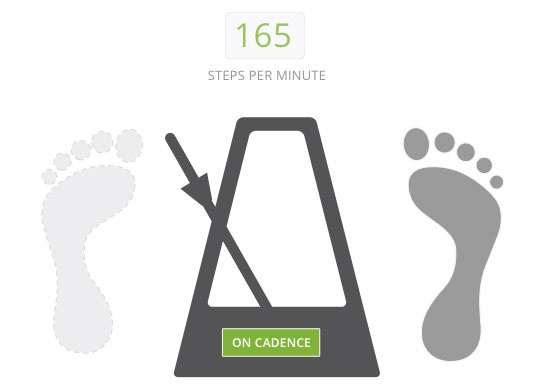 Sensors on the sock count actual steps taken and provide accurate cadence monitoring. Use the metronome feature or get voice feedback as you run so you are keeping to the desired steps per minute. Simply pair your Sensoria Fitness socks to your smartphone running the Sensoria Fitness mobile app. 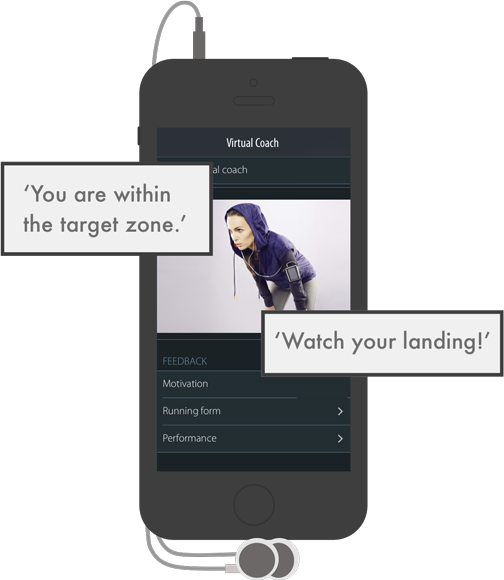 The Sensoria Virtual Coach within the app continuously monitors your running form and provides you real-time feedback through audio and video cues during your run. I secretly tested out the Sensoria with running shoes and a pair of old Birkenstocks...sure enough, they correctly identified the Birkenstock as a "minimalist" shoe.